This cute card I made using Fancy Pants paper "childish ". 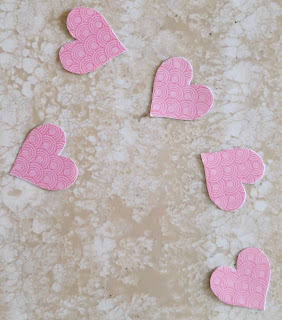 I cut some heart shapes from the paper to make nesting flower. What a cute design! Thanks for playing along with the Anything Goes challenge over at the Simon Says Stamp Challenge Blog this week!